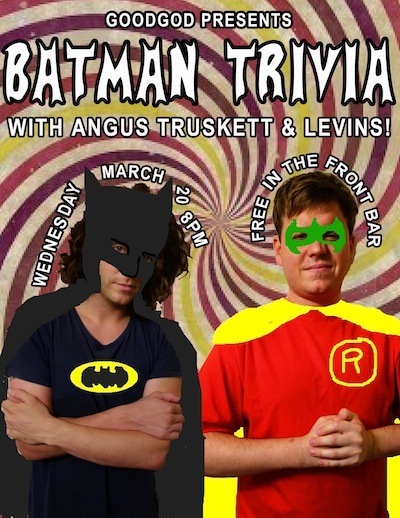 Super friends Angus Truskett and Andrew Levins have been deep in the Batcave plotting and planning an evening of trivia dedicated to their favourite hero – the dark knight, the caped crusader – BATMAN! Featuring back-breakingly hard questions from the Batman comics, movies, cartoons, games and the legacy of Gotham city! Start forming your Justice League team and come down to win some bat-prizes at the Batman trivia night that Sydney deserves! Table bookings are strongly encouraged and available now through The Dip.